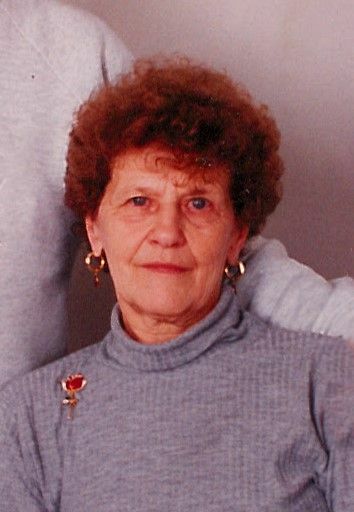 Evelyn Genevieve Lane, 86, of Alpena passed away Monday, January 21, 2019 at Medilodge of Hillman. Evelyn Genevieve Dave was born February 16, 1932 in Detroit to the late George and Gladys Dave. On August 11, 1951, she married George Lane. He preceded her in death on May 17, 1994. Evelyn was a member of All Saints Parish and enjoyed gardening, reading, was an avid walker, and loved animals. Surviving are her six children, George (Raynell) Lane, Joseph Lane, Patrick (Pamela) Lane, Gordon Lane, Linda (Rod Lake) Carter, Timothy (Laurie) Lane; 12 grandchildren; 16 great grandchildren; and sister, Bernice Miles. Mrs. Lane was preceded in death by daughter, Colleen Alexander; two infant children, Thomas and Matthew; and sister, Frances Knobloch. Visitation will take place at the Bannan Funeral Home on Thursday from 2-8 p.m. and where the funeral service will be held Friday at 11 a.m. with Rev. Scott Lawler officiating.